You have no excuse not to read this blog now. Yes, that’s right! 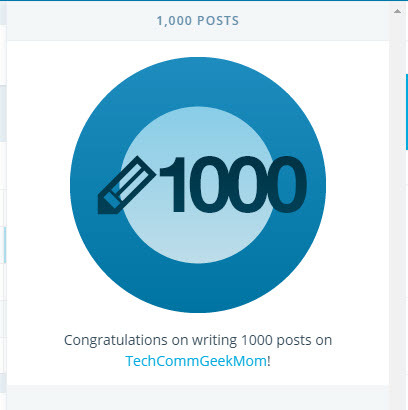 There are 1000 posts on this blog! Some posts are gems! Some are duds! Some are somewhere in between! 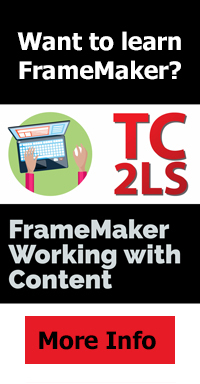 But over three years, content has been curated and content has been written on the topics of m-learning, e-learning, all things tech comm….the addition of digital marketing more recently…with some geeky tech stuff thrown in as well. There’s something for just about everybody here! Have you taken a look at some of the past content? I’ve been here for more than three years, folks–look at the archive links on the right-hand column. Take a look in the search and see if there are any posts on a topic you are interested in. I’ll see about getting another 1000 posts up ASAP, okay? Enjoy! This entry was posted in Uncategorized and tagged 100 blog posts, blog posts, blogs with a lot of content about tech comm, content marketing, content strategy, digital literacy, digital marketing, Distance Learning, DIY education, e-learning, education, elearning, instructional design, instructional design and technology, Learning, m-learning, mobile learning, social media, tech comm, tech comm software, TechCommGeekMom, Technical communication, technical communications, technical writing, Twitter, WordPress. Bookmark the permalink. 2 Responses to You have no excuse not to read this blog now. Congratulations on your milestone! I like how the message shows a little tiny pencil that’s worn down to a nub. You should treat yourself to a new pencil, and keep the blog posts coming. Thanks! I’m certainly going to try! There’s lots going on right now (I almost wrote “write now”, LOL) that make it a little harder for me to get my own original material up, but I’m going to try to continue to squeeze it in, and continue to curate content that I think will be helpful to others in some form or another. Thanks for continuing to read and comment, Larry!